The spiritual science of Yoga and its philosophy of being generous have been followed for centuries. In yogic texts, it is mentioned that ancient people used to believe everything as their god. While worshipping the Sun is still a widespread practice, everything that is the gift of nature is supposed to be an element of the creator, according to Yoga. Prayer Pose is also one of those yogic practices that advocate us to respect and admire things around us including our body. The asana is a major part of the Sun Salutation, with the Namaskara Sequence beginning and ending in Pranamasana. Like all other Yoga asanas, it also has a number of benefits across all aspects of life – physical, mental and spiritual. Let’s discuss the way of practicing the asana followed by the benefits of Prayer Pose. Performing the asana is not so challenging but requires care for doing it perfectly. Begin with standing erect on the Yoga mat and both feet together. Join the palms in prayer facing each other parallel to the chest. Look straight and close your eyes and feel the silence. Forget everything and keep breathing normally. You can chant a few mantras to bring a sense of spirituality to the practice. To advance the asana, try this pose on one leg. Here are the top five health benefits of Pranamasana that one attains if practiced routinely. Pranamasana is about complete relaxation and peace. The asana is similar to the mindful exercise of Meditation in many ways. The mind remains in the zone of utter silence with no thoughts making it listen to the sound of the heart. Working professionals who find themselves under the load of heavy office task should make the Prayer Pose an integral part of their life. Seeking asylum in the serene dwelling of Pranamasana every morning nourishes the soul to maintain a relaxing balance between the body and mind. Stress and anxiety find no place in a mind living in the zone of Pranamasana. Another beauty of this exercise is that one can practice it anytime and anywhere. In this busy and fast-paced world, one thing that we as humans lack is awareness about our body and the surroundings. In order to enhance the mental awareness of a person, Prayer Pose is extremely effective. While being in a state of utmost serenity, you listen to the needs of your body; you learn to respond to your desires. The exercise just calms you down and makes you think like a prudent guy by boosting your decision-making abilities. Even while doing a task of utmost urgency, when you do Pranamasana daily, the body keeps you updated with the requirements of your mind. Anybody who can stand straight can practice this asana with ease, which makes this exercise very popular among common population. Along with being a gesture for greeting, the pose works as a good enhancer of one’s body posture. A nice posture is a sign of being audacious and confident with fine body language that is reflected by one’s external outlook. In addition, the exercise gives the body health and wellness by keeping the nervous system in balance. Backbone, neck, and the hips come in a linear motion toning the whole skeletal system. Balance is everything. When we talk about body balance, it means a balance between the physical, mental and emotional aspects of life. Discussing the physical aspect, Pranamasana is immensely beneficial for strengthening the lower body parts such as legs, ankles and feet. While practicing this pose, the hips and knee joints get nourished in a good way and the legs find it easier to balance the whole body weight. Soft toning of the thigh muscles and the backbone also takes place during the practice. Prayer is a sign of respect, which can be secured only if you know how to give it. The asana lets you shed your ego and betters you as a person. Pranamasana comes with the elements of spirituality in many ways. Since it is the first and last pose in the Sun Salutation sequence, spirituality and devotion are sure to find a place in the core of this asana. Closing the eyes and chanting the AUM mantra, one can go into a state of spiritual awakening. The vibration created while chanting the mantra manufactures a soulful energy that purifies the whole body, mind and soul. There are tons of benefits of this spiritual power including its role in protecting the mind from external negativities. One who practices Pranamasana on a regular basis owns a pure mind and knows how to defeat the challenges thrown by the life. 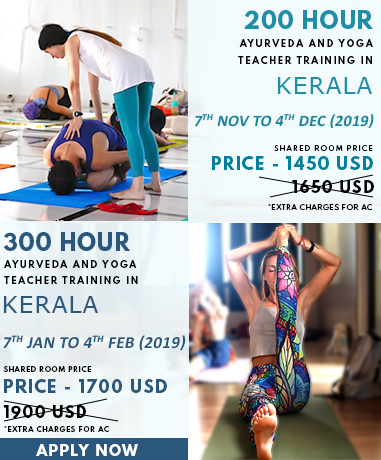 To know about Pranamasana in further detail, explore our Yoga Teacher Training In India.